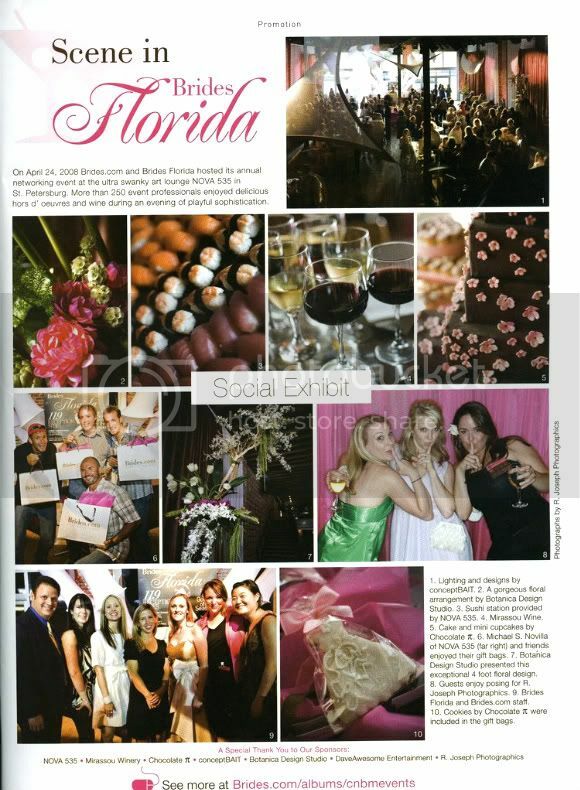 The latest issue of Brides Florida magazine features several photos created by yours truly! First we have a page of party details from the Brides party at Nova 535 this past spring where I was the official photographer (under R. Joseph Photographics). You can view many more photos from the party here. 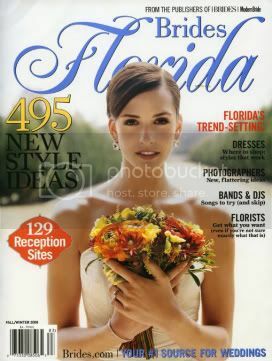 Then we have an article featuring location choices of the area's top wedding planners. 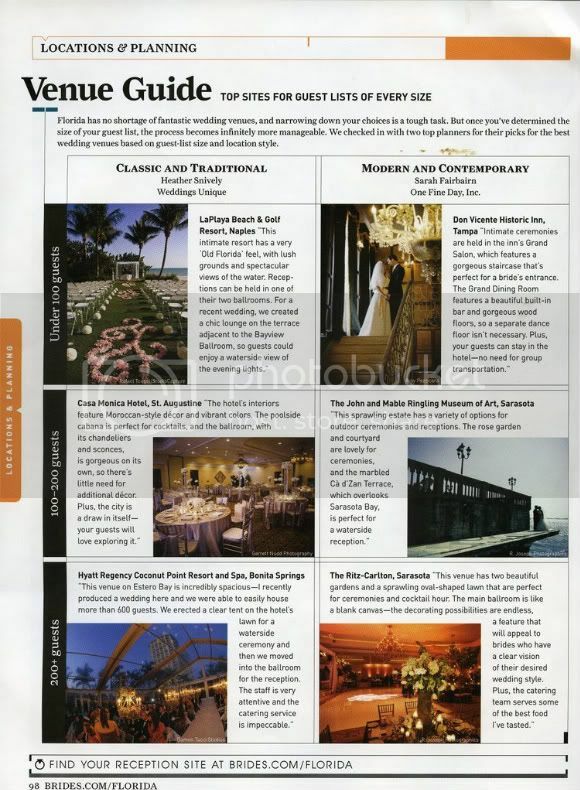 The magazine used one of my photographs to illustrate the Don Vicente in Ybor City and another, at the bottom, for the Ritz Sarasota.